Newlyn School Turner course giveaway! is a scene often witnessed in Newlyn over the last 25 years as a good number of boats were towed to their final resting place before being broken up. This new Turner five day course is an exciting departure for the art school. Three respected landscape artists will be helping students to respond to the work of J M W Turner with demonstrations and lots of hands-on exercises. 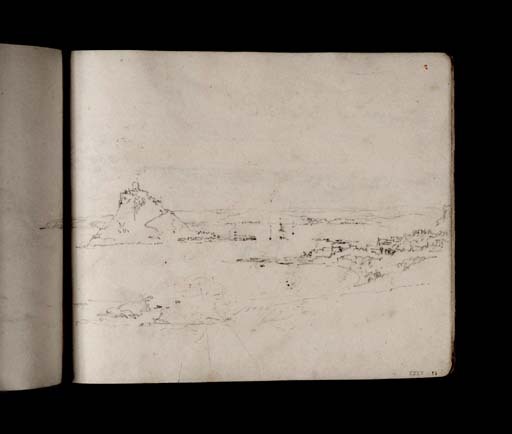 Hannah Woodman will help students try their hand at exploring how Turner used drawing materials and watercolour sketches in his work. 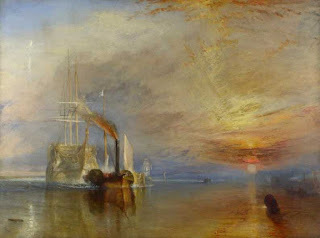 She will also provide a brief presentation of paintings by Turner from various points in his career looking at his techniques. Paul Lewin is a highly respected coastal landscape painter and will be taking the group for two days exploring Turner's ground-breaking use of watercolour. Turner made over 20,000 works on paper over his career. Artist Gareth Edwards will be taking the last two days of the course sharing his in-depth knowledge of oil painting methods and materials with a lively and hands-on series of demonstrations and exercises enabling students to learn how Turner used oils in a way that had not been seen before his time. Now things get really exciting! Here is your chance to win not only the five day course but also a complete staycation package to boot! One place on the five-day Turner course on 10th-14th July, 2017 - worth £550. 3 nights B&B at Artist Residence Hotel, Penzance on 9th, 10th and 11th July - worth £585 (accommodating up to two people). 3 nights B&B at Chapel House Hotel, Penzance on 12, 13 and 14th July - worth £525 (accommodating up to two people). Two places at the public talk on Turner at Newlyn School of Art and the subsequent dinner and talk at Chapel House Hotel on 13th July - worth £65. Enter for the prize draw and get full details by visiting this page on the Newlyn School of Art website!